Menstruation or periods to be precise isn’t spoken about in our society. Since we consider it a taboo, the girls who grow up don’t have enough knowledge about the same, leading to issues during adulthood. At the same time boys aren’t aware about what girls go through which is why they end up making fun or bully girls in school. 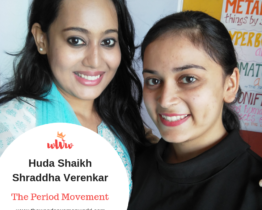 The Period Movement was started in November 2017 (Mumbai) in order to educate and raise awareness about menstruation after we saw that even after so many years of independence we aren’t ready to break-free from such taboos. Goal- To educate girls and boys about menstruation and break-free of taboos and myths. Mission- To provide knowledge about physiology, psychology, nutrition and hygiene to the growing girls and sensitizing boys on the topic of menstruation. Objectives- 1) To provide adequate information on menstruation to growing girls. 2) To sensitize boys on the topic of menstruation. 3) To clear myths and misconceptions about menstruation. 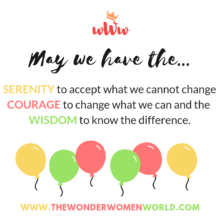 4) To break-free from taboos surrounding menstruation. 5) To inculcate acceptance with regards to menstruation in the society. 6) To provide sanitary hygiene products to the downtrodden 7) To promote hygiene and nutrition during menstruation. 8) To help women in saying the word periods without any shame or guilt. 9) To educate men so they can care for their partners 10) To help improve lives of women across India and make it easier and hassle free during the menstrual phase. Target Population- Our target population is growing girls say between the age group of 10-18 years of age and boys falling within the same age group. We focus on the lower-socio economic strata as they are devoid of adequate knowledge related to health. However, we also discuss myths and misconceptions with ladies between the age group of 20-35 years of age.